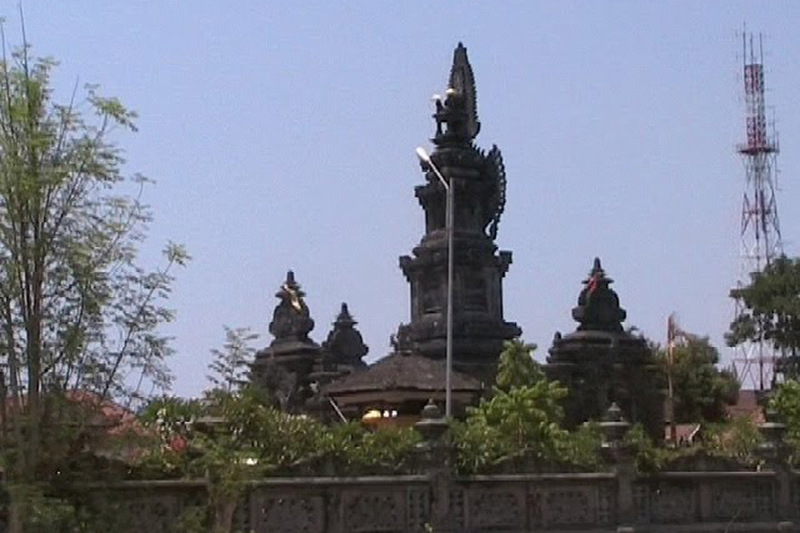 The largest temple in North Bali as well as the most important in Singaraja, Pura Agung Jagatnatha features a Padmasana, a shrine that symbolically represents the three parts of the Balinese Universe as well as a wall relief depicting the horrific consequences that await those guilty of earthly sin. 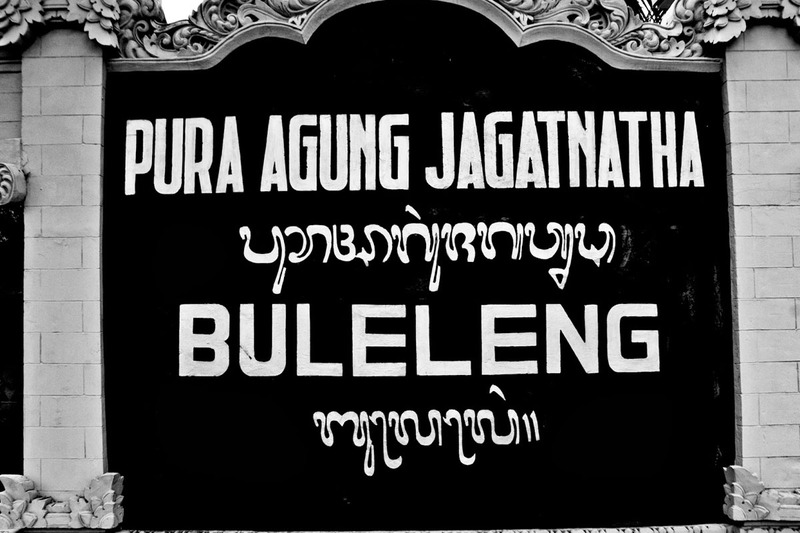 The state temple Pura Agung Jagatnatha is dedicated to the supreme god, Sanghyang Widi Wasa, the supreme of divine gatherings. The name Jagatnatha derives its origin from the Sanskrit word jagat meaning world. Two festivals based on lunar cycles are celebrated here every month. 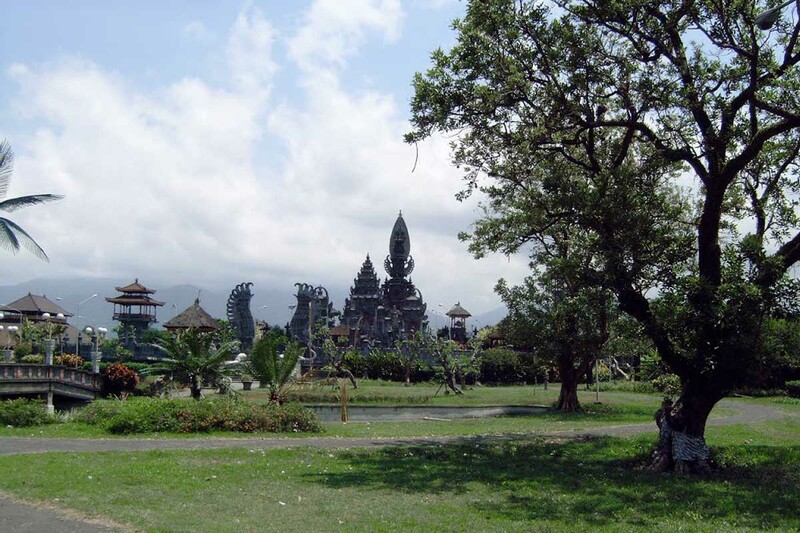 During the days of full moon and new moon, visiting this temple during these times can be a memorable experience. 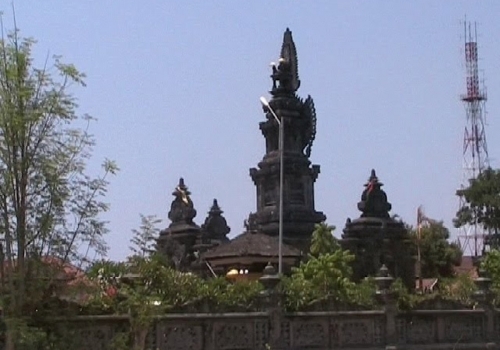 No matter what time you visit this magnificent temple you will always find devotees in prayer. The magnificent shrine shaped in the form of Padmasana or, lotus throne, has the grandiose and spiritual significance of the highest order. 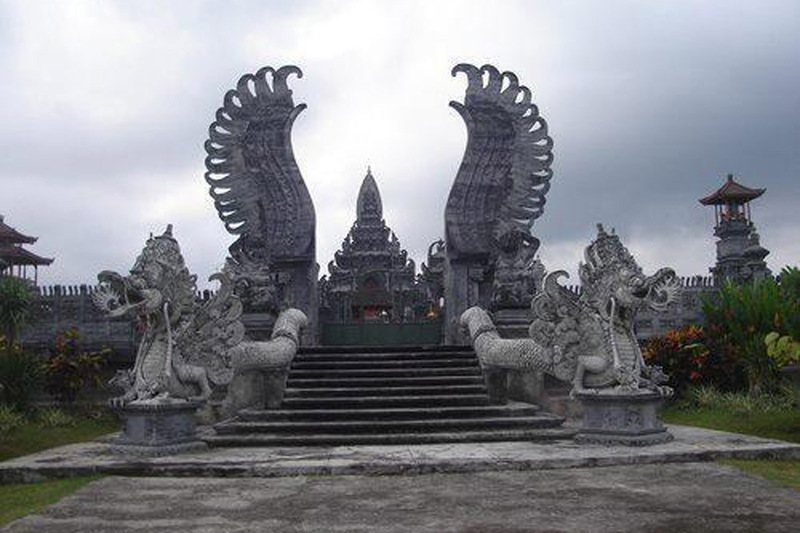 The padmasana (shrine) is made of white coral, and consists of an empty throne, symbolic of heaven, on top of the cosmic turtle and two naga or mythological serpents, that symbolise the foundation of the world. Just like other temples on the island, Pura Agung Jagatnatha consists of sprawling courtyards and a series of several shrines arranged around them. 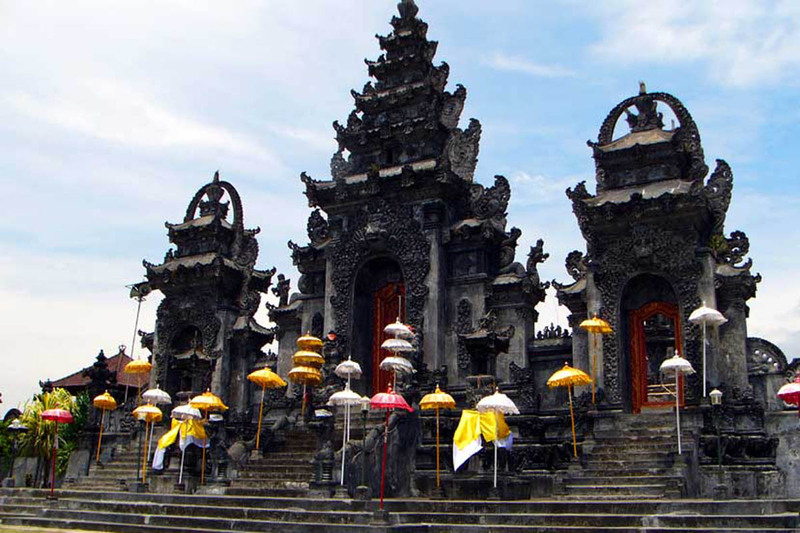 The gateway is stately and ornate with exquisite patterns and Stories from Hindu epics, gods and goddesses are carved on the walls, stone carved abound in this fascinating temple. The massive statue of a fierce demon towers over the outer courtyard. The middle courtyard is little more than a gallery surrounded by a moat. 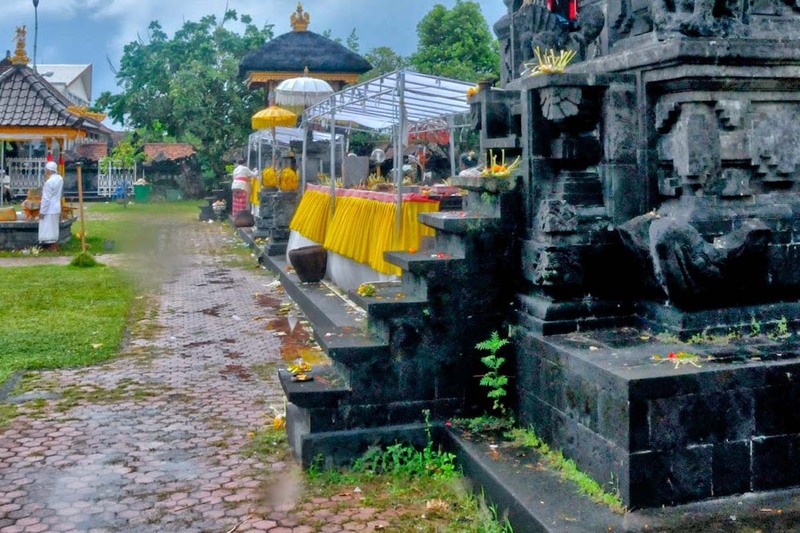 Respectful dress is required as in all Balinese temples and wearing a sarong and sash is mandatory.